IIWM Recruitment 2018 2019 Application Form for 08 Young Professional, Senior Research Fellow, Young Professional - II Posts Download Application through Official website www.iiwm.res.in. IIWM Young Professional, Senior Research Fellow Jobs Notification 2018 Released. IIWM invites Walk in Interview for appointment in following Young Professional, Senior Research Fellow post in Indian Council of Agricultural Research. 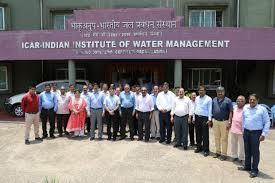 Candidates are requested to Download Application through Official website www.iiwm.res.in. Prospective candidates will have to before Walk in Interview carefully reading the advertisement regarding the process of examinations and interview, eligibility criteria, Offline registration processes, payment of prescribed application fee/intimation charges, IIWM pattern of examination, IIWM Syllabus, IIWM Question Paper, IIWM Walk in Date, IIWM Result Date etc. Senior Research Fellow - Master’s Degree in Agricultural Engineering/Agril Economics/ Extension/ Rural Management / / Fishery Science/ Aquaculture/ Environmental Science/ Life Science/ Biological Science/ Civil Engineering) with 4 years/5 years of Bachelor’s degree. Candidates having post graduate degree in Basic sciences with 3 years bachelor’s degree and 2 years of Master’s degree should have NET qualification. (ii) SRF- Maximum 35 years for men & 40 years for women (Relaxable for SC/ST & OBC candidates as per Govt. of India norms) Candidates seeking age relaxation shall submit required proof.